Company Blog — Harding Enterprizes Inc.
We missed our March update, but we wanted to wait until we got underway on the site cleanups. So far, we have three sites completely cleaned! We are currently watching the crews work on the fourth. In addition to that: we have been repainting interiors, installing new cabinetry, re-roofing, and beginning prep for new flooring. It has been a busy and hectic process... but it is amazing to see the progress we’ve made. We are looking forward to opening doors soon but as of now, we still do not have any rentable units to offer. Please continue to watch the site as ALL availabilities will be coming through here. We apologize about the old advertisements that you might run across. We have been trying to correct these and take them down. We are not responsible for third parties. Here are some sample before and after photos, just to keep it interesting! I am a graphic designer. I love creating original and unique designs for my clients, and communicating meaningful ideas. We understand there are many who will be looking for housing of any kind. Those who are unfortunately being asked to relocate will be looking to return. However, we do not have timelines for re-renting in the foreseeable future. Once units become available, they will be up on the website in the appropriate location. Only then will applications be accepted. It will remain a first come-first serve basis. The standing units are undergoing massive renovations and maintenance to ensure that they are safe both structurally and internally. All burned areas are being addressed as well. We are taking great pains to ensure that our community members who are able to return with us are as safe as can be. A final effort has been made to contact all remaining residents. This has been attempted multiple times. We have requested all residents to move and given reasonable time to do so. Thank you for your help durning this transition time. Its been quiet but we are hard at work. We are beginning renovations on standing units by removing all the carpet, repainting, and more. We have been doing extensive inspections to check for smoke damage to interiors and exteriors. It’s going to be a long process but we are optimistic. We want to thank everyone who has helped us this far, you know who you are. The local contractors who have been working with us are greatly appreciated. Today was a great day! The lovely people at Hudsons Appliance took our old refrigerators away! What a relief that is. We continue to forge ahead, beginning the necessary improvements to the units that have been vacated. It will be a long haul. But we are ready to work and ready to get a little bit of Paradise back. Meanwhile, one of the staff was able to stop by Lookout Point today and take some photos of the ridge. Hope you enjoy. Just a reminder that it is still a beautiful place. Hello! Sorry for the silence this last week. We have all been hard at work trying to figure out our game plan and take care of the properties. We wanted to notify everyone that the next few weeks starting on January 7th, we have insurance inspections scheduled for all of the properties. We are posting 24-hour notices on doors in the event that we are asked to open doors during normal business hours. The purpose of this inspection is to note any damage to the unit caused by the fire. We have noticed during securing the properties and the refrigerator removal that there is some significant damage to the windows, gutters, walls, etc. of some units. Our intention is to inspect how far this damage goes and formulate a plan for repairing it. As always, we thank you for your patience and understanding during this time. If there are any questions, please reach out to the numbers posted. This is to notify all residents who chose to receive their deposit back: All personal belongings are to be removed as of January 30, 2019. No property is currently habitable. We have no timeline to provide for when they will be habitable. ANY RESIDENT FOUND LIVING IN UNITS WILL BE SERVED NOTICE TO MOVE. All units require renovation, cleaning and repairs. No Resident can expect to continue to reside in their current unit. Please contact your current resident manager for further information. 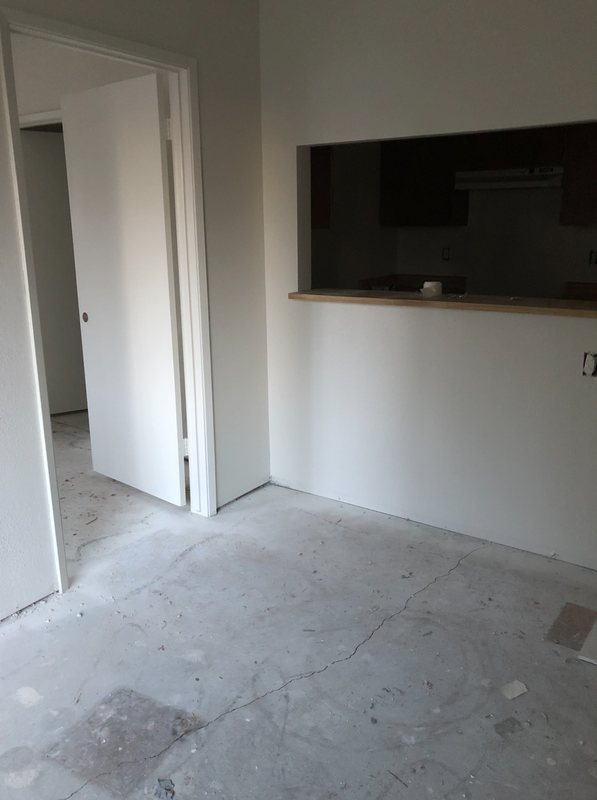 UPDATE 12/18 - Refrigerators Are Gone! Please Return Keys. Awesome news! We are officially refrigerator free! We have removed all fridges from the standing units. The following properties have had locks changed! All tenants who need into their units can get the new keys from the Camino Office. For those who have vacated, please remember to return your keys to the office or by mailing them in! If you are looking for more frequent updates, please be sure to like us on Facebook! Contact us at any time via email or the phone numbers listed. Thank you. Beginning tomorrow, Dec 27th, 2018, we will be entering units and pulling all refrigerators out of units on the Shadowbrook Property. We understand this is short notice, but we feel that this is of the upmost importance. Only our trusted staff will be entering units and only for the goal of removing the fridges. If we are not able to enter your unit because of key issues, we will be drilling locks and replacing the door lock completely. If this applies to your unit, you will be able to retrieve your new key from the office at Shadowbrook. All dumpsters were emptied this morning, as of today there is room for any more trash and debris that our tenants might need to dispose of. Remember, we ask that you be responsible for removing ALL items out of your unit, the porch area, and kitchen EXCLUDING ONLY THE FRIDGE. Any items you wish to donate must be taken by you to a donation site in Chico. Just to reiterate: Cleaning of the units by the tenant is not required. Just removal of personal items. Please be kind to the standing units upon your departure. We would like to take a moment to thank you so much. We have received so many emails and messages that are so kind and thoughtful. We can’t reply to all of them at this time, but please know your appreciation and affection is felt by all of the management staff at Harding Enterprizes. We are grateful to have the wonderful community that we do. We will continue to keep you updated through our site and facebook account. Continue to direct any concerns and questions to our phone numbers and our email address. There might be some repeated information, but these all seemed like good resources and helpful articles. We will keep updating these links and adding more. Updates will keep coming below! For those of you who are curious about the debris removal, here is a link to the video of the meeting that took place. Also of note: Paradise Post Office is now open! Mail pickup is from Monday to Saturday from the hours of 10 am - 4 pm. We have communicated with some of our tenants already, but we feel it is best to post it here as well that we are starting the 30 day move out countdown from this Monday, Dec 17. If you are concerned about this deadline, please call one of the office numbers. If you have already moved your belongings out, we ask that you either return mail keys, laundry keys, and unit keys to the office at Camino, or mail them in. Thank you so much, stay safe. The police blockade at Skyway is down as of 7:30 this morning. There are currently no lines into town. In an effort to continue securing the properties, all key boxes have been collected from all manager units. Keys to all standing units have been accounted for. PARADISE WILL BE OPENING AT 9:00 AM THIS MORNING TO RESIDENTS ONLY. Harding Enterprizes does not consider any properties habitable until inspected and services are available. Any actions to enter or reside are against our advice and at your own risk. Sawmill Villas and 443 Nunneley are currently non-habitable due to a compromised septic system. Septic repairs will be ASAP. 443 Nunneley has significant problems, we do not have a repair timeline for this property at this time. Shadowbrook Villas have no power or gas. Septic repairs are underway but it is still considered to be non-habitable. Camino Properties have some power, no gas, and we are waiting on water. Septic tank hazards at 5930. We have placed three dumpsters. One is on 443 Nunneley behind the office. Camino in the office parking spaces. Shadowbrook has a dumpster up past the property dumpster/laundry area. Please use these to dispose of any unwanted items from your units. PLEASE DO NOT OPEN YOUR FRIDGE. Nothing in your fridge is salvageable at this time and you may expose yourself to harmful bacterias and/or molds. They will be exposed of and replaced by management. Please be aware that there will be damage to the floors due to the fridges being turned off for so long. There may be warping, slick, and uneven surfaces. Nunneley Properties/Academy Oaks: Located on the walkway of the office. Camino: Located on the office walkway. Shadowbrook: Located outside the Shadowbrook office. Sawmill: In one of the parking spots at the entrance to the property. Skyway: Next to the door of the laundry room. Elliott: Please visit a location listed above. For security and safety purposes, we will be fencing off all burned areas/units on Monday. Please contact management about entering a burned unit after the weekend. We hope to staff the Camino office by next week. Thank you for reading, and as always stay safe! We have been told by the CHP officers at the Skyway barricade that they believe Paradise will be opening in some form on Saturday the 15th. We will be sure to update with a time as soon as we hear. Please remember to enter with caution and use all safety equipment such as gloves, and masks. Respect your fellow residents and the properties, drive with care and always stick to paved areas when possible. When entering your property, we ask that you sign the waivers provided, one per household/family, that you assume the risks of entering a burned area and the dangers therein (Locations to be provided). We were able to walk some of the properties and appraise some of the damage, there are MANY nails as well as broken glass and other sharp materials everywhere. Please be careful when entering burned areas. For all move-out tenants, please remove all belongings using the dumpsters provided for any unwanted items (Locations to be provided). Please see below for updates regarding the individual properties. Our home office phone is now up and running, so the 530-877-8237 number is functional again! We have hundreds of unheard messages and no way to know if any were followed up on. In an effort to keep moving forward, we are trying to go through and prioritize these. We would like to apologize to those who have fallen through the cracks. Please contact us using any of our numbers to get immediate assistance. We are optimistic that we may hear good news this weekend, stay tuned. We are waiting on solid confirmation. 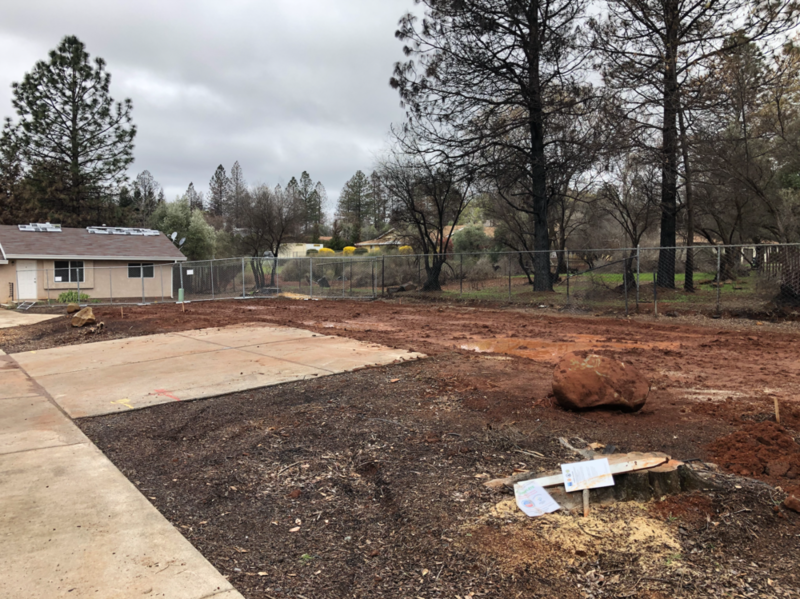 Even after we are allowed to return it will be an extended time before the property will be cleared as habitable and you will be allowed to move back in. The septic systems are damaged and must be repaired before the water can be turned on. We are so sorry to announce yet another delay. Despite the appalling and poorly worded promises of the town manager, we are afraid that you will not be back as soon as we all hope. Link to article (click here). Please contact us at any of our office numbers or the email provided, as always we are here to help. Again, we are sorry. We know you are all rightfully anxious to return. We are expecting parts of the town to be opened possibly as soon as this weekend. Please monitor our web page; we will notify as soon as we have official confirmation. There may be hazards that are not visible including but not limited to contaminants and toxic waste. Please remain on paved areas when on foot or in vehicles. Anyone desiring to sort or interact with rubble is required to sign a liability release provided by Harding Enterprises. These will be available at the properties. You are responsible for obtaining, signing, and returning the release. Please use the Butte County provided safety equipment to access rubble areas. If you have a mail key, we ask that you return it to the office at your convenience. Do NOT open the refrigerator. These will be removed from all units and disposed of. Do NOT attempt to remove or remediate any mold or any other potential hazards. Please exit and notify management. Bags and dumpsters will be onsite for debris and/or unwanted belongings. Please utilize the appropriate disposal measures. Any electronics cannot be disposed of in dumpsters but will have a designated disposal area for these items. Please be respectful of the units we have left. We have done our best to treat everyone with respect and expect the same in return. NO ONE CAN OCCUPY AN APARTMENT UNTIL NOTIFIED BY MANAGEMENT. THIS IS FOR YOUR SAFETY. We thank you for your patience as we begin this process. As always, feel free to call or email if you have further concerns or questions regarding your property or the move-out process.